Human beings have often engaged in the search for meaning, but today's economic downturn has brought the subject to light in a new way. People are re-evaluating whether their financial power to accumulate possessions and wealth is the only determining factor of their happiness and success. Some are being forced to shrink their activities, their budgets and their ambitions and many report that it is not all bad. Sure, economic woes are scary and many are frightened of how long they may last, but those that can keep their wits about them are also re-discovering what really matters to them. It seems that there has been a shift. Where finding meaning had often been a deep search for finding reasons to endure our own suffering, it seems that finding meaning now is more about finding significance in our living. Experiencing meaning requires an elevated state of consciousness -- the more disconnected or busy we are, the less meaningful life feels. So therefore, today's opportunity brought to us by seemingly negative circumstances (job layoffs or a shortage of cash) is forcing us to have the time to engage in our life in meaningful ways. If you are wondering 'what it's all about', here are some ways you can reconnect, raise your awareness and start re-designing your way to a new meaningful life. Spend time outdoors observing nature everyday. Communicate what you feel good or bad. Notice where you avoid connecting with people, be brave and try. Bring your talents into your work or find an outlet for them outside of work. Either way USE them. Begin to plan your life as a vehicle for serving others instead of a series of personal and professional benchmarks (and yes you can get paid well for it!). Become more conscious of how your actions affect those around you and even the global impact. Live everyday for connection to self, others, work, and planet. What physical objects do you possess that carry great meaning for you? What parts of yourself have you left behind that you'd like to reclaim? What is your self-concept? What would you like it to be if you were not accused of bragging? What kind of work would you do if you have all your needs cared for doing it? To be connected to yourself and raising your awareness allows for a fullness of being that we call meaning. When we seem to see how the pieces fit together and what our part is in it, we start to have a trust in ourselves and our ability to make our way despite the evidence of hard circumstances all around us. When all the institutions we have relied on to form our lives are no longer able to provide that guidance, it is up to us. Creating your own definition of a meaningful life will be your raft to success as we navigate the current turbulent waters. 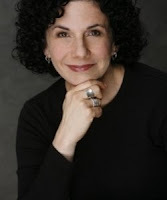 Laura Berman Fortgang, author of The Little Book on Meaning: Why We Crave It, How We Create It, is a nationally renowned speaker and life coach, helping individuals, small businesses, and corporations forge new directions and weather change. Recently ordained as an interfaith minister, she lives in Montclair, New Jersey. This is a very insightful article! Thank you for sharing it! It gives me some things to think about. This is a great article. I think it is important for people to figure out what really matters to them.